Please contact The Fordham Company for more information. Richard delivered a presentation that was compelling and thought-provoking. His QF32 story brought our Safety Day to life and was a powerful illustration of how ‘Chronic Unease’ can play out in real life. Never before have I seen an audience from Shell Australia so captivated and engaged. Safety is our number one priority and Richard really delivered for us. We look forward to working with him again in the future. My sincere thanks for your presentation at our AMP Leadership Summit last week. Your speech was both extremely engaging and inspirational, and comments from those who participated in the day has been really positive. 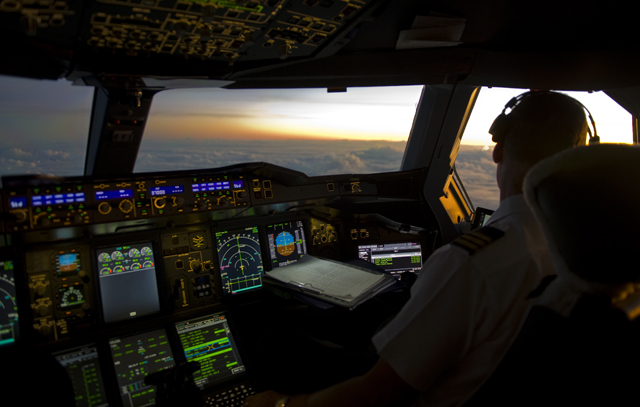 The call to action is immediate – don’t panic- be strong and unite together to deliver on the opportunities – we need to look at what is working (not at what’s broken) as the Qantas captain did in times of facing challenge”. I also really enjoyed the opportunity to hear how the whole team (including passengers) pulled together at such a critical time. Thanks again Richard. It was a great pleasure to meet you and hear from you first-hand. The feedback we received on your presentation was absolutely outstanding. Everyone had positive things to say and enjoyed your presentation very much. The most notable common theme in what our advisers said (and put on their feedback forms) was how well you drew the parallels between your industry (and specifically the value you/Qantas added in your retelling of the particular event) and ours – with the many challenges the retail financial advice market face. Many advisers turned this into a compliment for us – as they deducted that you must have been given an excellent briefing! I am not sure if this was the case or whether the parallels you drew were from your experience – either way – AMP enjoyed a Halo effect from that. Other feedback included how well you explained the technical aspects of the talk which were integral to understanding what a significant event had occurred to that flight – I personally second that, as your explanation of the risk associated with the various events was a great foundation to understand the rest of the talk. It was entertaining and you certainly are a confident and professional speaker which came through in the delivery. I also have to say – that I am not aware of any negative feedback at all. Overall – as mentioned – the feedback was outstanding. 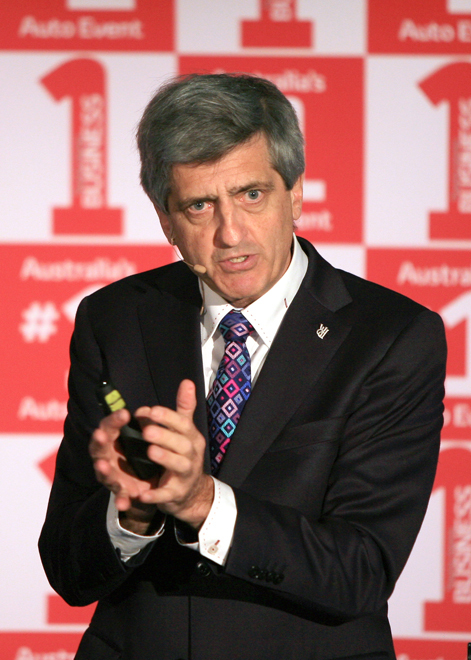 On the 5th and 7th of December 2012 Richard de Crespigny presented to over 150 C level executives (CIO’s, CTO’s CSIO’s) in Sydney and Melbourne venues over lunch. Through out the hour+ that Richard presented you could not hear a pin drop, the clang of cutlery or see people playing with their mobile devices. So to say they where engrossed and intrigued was an understatement. Richard is a brilliant presenter that captured the minds and gravity of the QF32 event but also relayed business meaning. In terms of Leadership, Management skills in crisis and depth under amazing pressure. I have no hesitation in recommending Richard to many and varied audiences, not just business or IT. In Melbourne after the presentation we had a queue of over 30 people wanting their copy of QF32 signed and had to cut people short to get Richard to his scheduled flight. Finally, The Story for QF32 reminds us all. To take time out to Smell The Roses. Mick Keelty and Nick O’Brien of the Australian Institute of Police Management. Captain de Crespigny’s presentation is compelling. It will open your mind to new concepts in crisis management such as inverting the logic and challenging conventions. It reinforces the principles of leadership, executive management, accountability & teamwork. I recommend the presentation and the book to anyone who is, or who aspires to be, a leader. 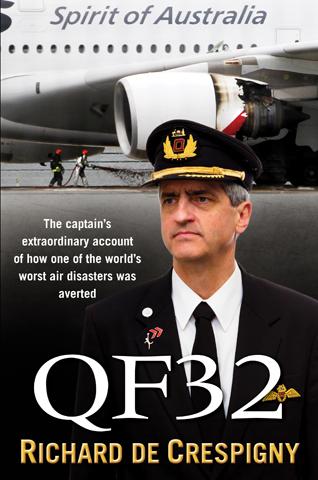 Captain de Crespigny and his team not only saved nearly 500 lives but by sharing his experiences Captain de Crespigny enables others to learn from this extraordinary event. Richard presented to our National Conference of over 300 leaders and was simply phenomenal. The story is of course inspiring and relates to many attributes of great leadership – teamwork, decision making, calmness, authority and doing the basics day in day out as a unit to build proficiency. It has been 6 weeks since Richard spoke to us and I continue to receive the most positive feedback from the colleagues privileged to hear his story. 100% of the 75 attendees who responded to the session feedback questions indicated that the session was a good use of their time. 100% of the 75 attendees who responded to the session feedback questions also indicated that the delivery by Richard was excellent. 91% of respondents completing the overall Delegate Survey indicated that Richard’s key note address was one of the most valuable presentations or sessions of the conference. No respondent indicated that the session was one of the least valuable. Last month we hosted our clients and some of the country’s largest merchants in the Barossa Valley for the 2013 Visa Client Forum. 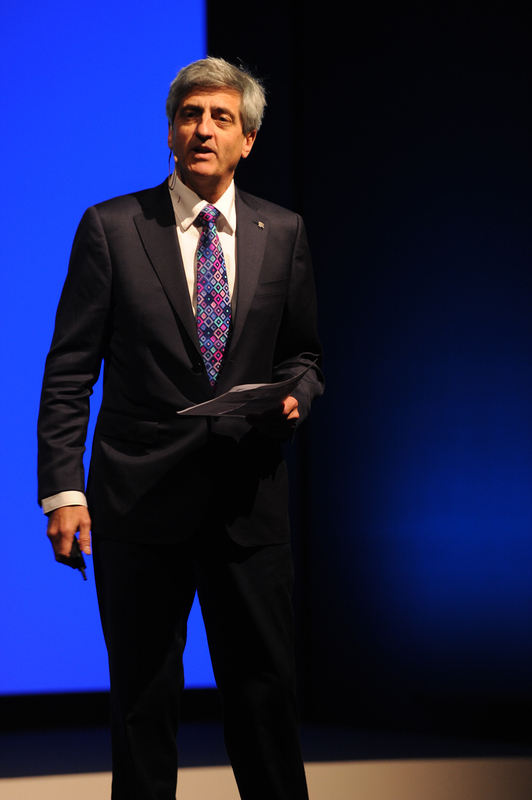 Of all his insights, it was Captain de Crespigny’s resilience checklist that really struck a chord with the audience. You need knowledge, training, experience, teamwork and leadership in times of crisis, and you shouldn’t be “gun shy”. AMAZING! Thank you Visa for thinking out of the box and bringing on such an awesome speaker. Richard was brilliant in drawing parallels between his experience and our professional challenges in risk management. Well done!! Richard is one of the highest quality and most genuine presenters I have seen in my lifetime. I have seen former Presidents of the United States, sports stars and celebrities speak at events. But nothing has ever resonated with me like the story he can tell about what should have been another routine flight out of Singapore. The book is fantastic, but the real life person is just amazing! 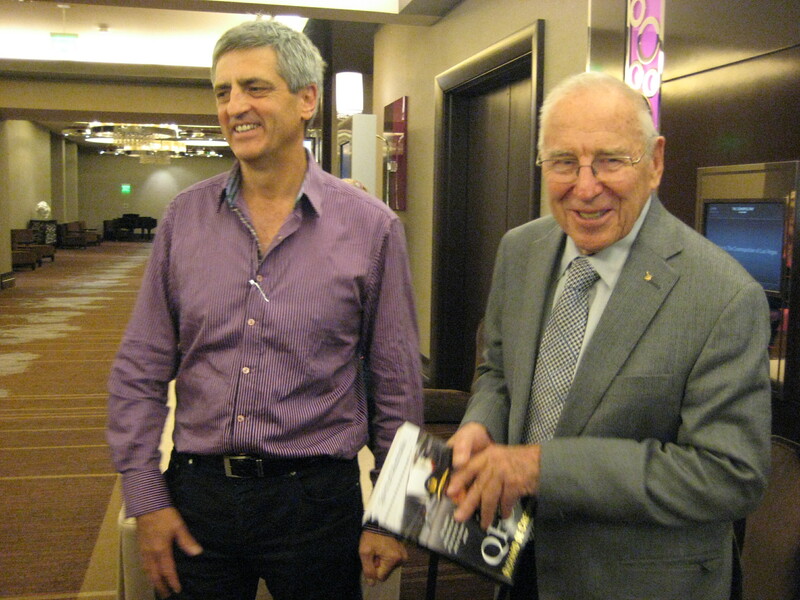 I was fortunate enough to see Richard present at a luncheon event with approximately 50 guests and I knew straight away that we should have him present at the Australian Information Security Association (AISA) National Conference 2013. 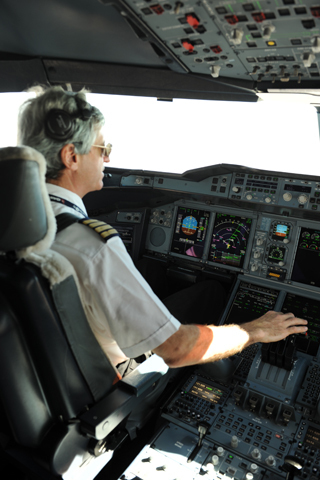 Richard is a truly passionate individual with so much experience in both the aviation industry and life. He is able to tell the unique story about his life leading up to the QF32 event and takes the audience on a journey leading right into the depths of the cockpit on that day. He provides exceptional explanations with the upmost fidelity into everything that took place with the aircraft and remarkable crew who saved hundreds of lives that day. At times, my heart was beating faster whilst I was immersed in his presentation. 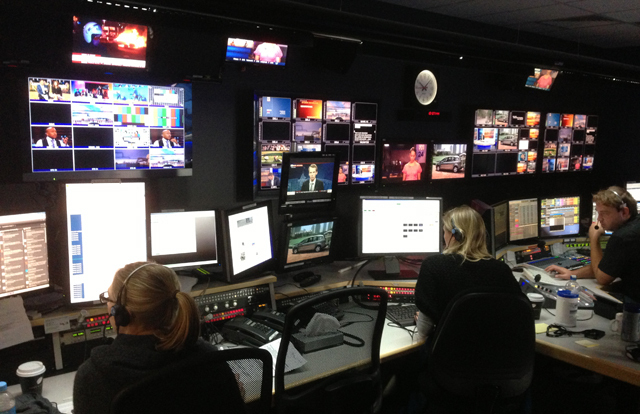 I felt like I was on the flight deck as the event unfolded! People from any industry and profession can learn much from Richard and practically apply the teachings each and every day at work and outside too. The feedback from the audience about Richard’s presentation was outstanding and you could see that everyone was deeply engaged and focused. He also spent time mingling with our members and generously answering their questions. Richard with the flight crew on QF32 that day are true heroes and seeing him present in person should be on every person’s checklist. I can’t wait to see him present again. 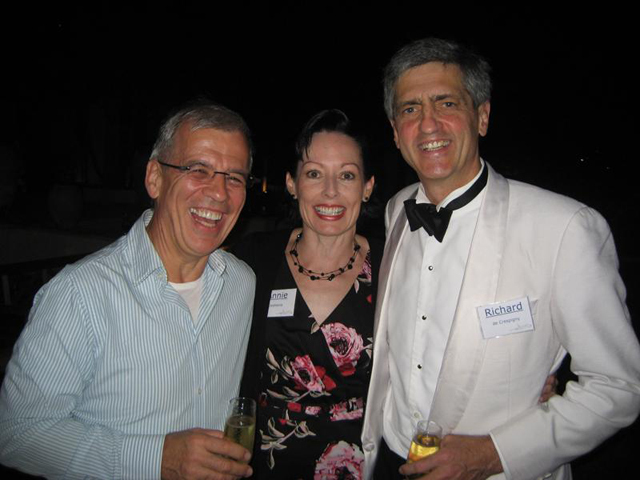 Richard de Crespigny was the key note speaker for a function recently held for the World Presidents’ Organisation, Melbourne Chapter. His presentation enthralled and completely captivated our audience. It felt as if we were in the cockpit watching him manage and overcome such a desperate situation. Richard engaged with our members before, during and after the event and we couldn’t have asked for more from a speaker. 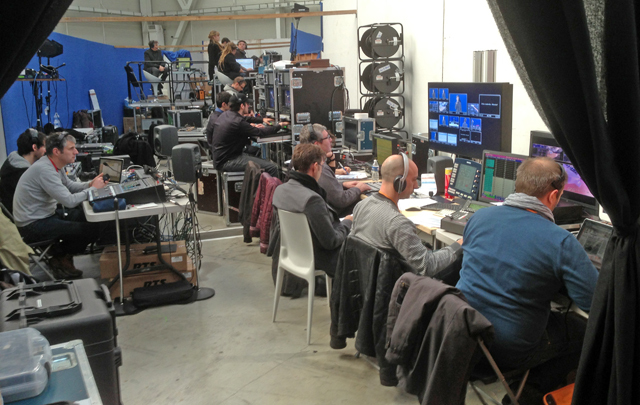 He was extremely professional and thorough, ensuring he understood both the audience and venue in advance and arriving well before the guests to test sound, lighting, AV etc. to guarantee a seamless presentation. Thank you for sharing your fascinating story; I think we all feel privileged to have heard first hand of your skills, level headed approach, bravery and personal concern for each and every passenger. I highly recommend Richard de Crespigny. 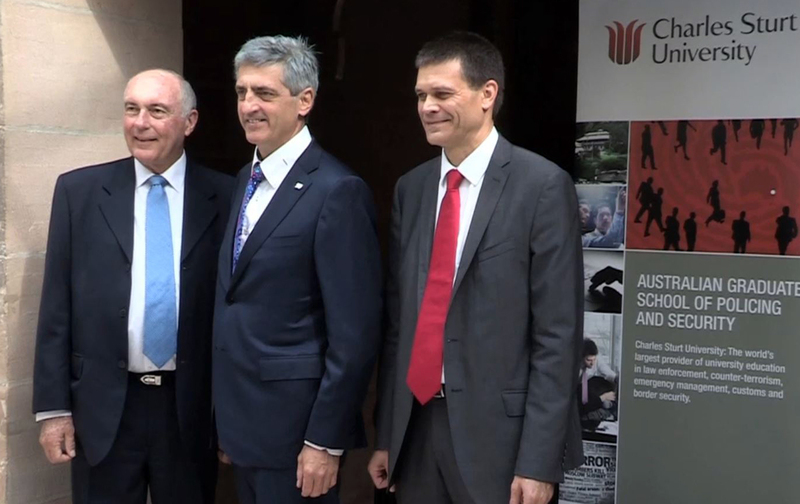 Richard de Crespigny was the speaker at the Aerospace Media Awards on 16th June, 2013, at the Aero Club de France in Paris. The audience was made up of guests from the aviation industry and aviation publishing, an audience that has seen and heard it all when it comes to aviation. Until, that is, they saw Richard’s presentation. Guests listened in attentive silence to Richard’s compelling presentation. A presentation that held them spellbound as they pondered the incredible achievements of Richard and his crew on flight QF32. As the presentation came to a close the audience spontaneously rose to their feet for a standing ovation that lasted several minutes. Subsequently many guests advised me that Richard’s presentation was one they will remember for a long time. Richard was a major factor in making the Aerospace Media Dinner so successful. Richard’s presentation was simply outstanding. It was a true pleasure to see the inspiration he created for our Executive team. The feedback from the CEO and the entire Executive Committee was unanimously extremely positive. It lifted the team, it entertained, it was thought provoking, it covered all the areas that are critical to us ( safety, leadership, values, etc). Most importantly, I can hand on heart state , that this was the single most effective way to send an excellent reminder to our team of the reasons why we are so lucky to fly with Qantas. The value add aspect could not have been more obvious. Richard’s passion and enthusiasm for his care of passengers, the company’s brand and for telling this amazing story was unbelievable. I have not been to one of these meetings where the spirit and energy levels of the team was higher. 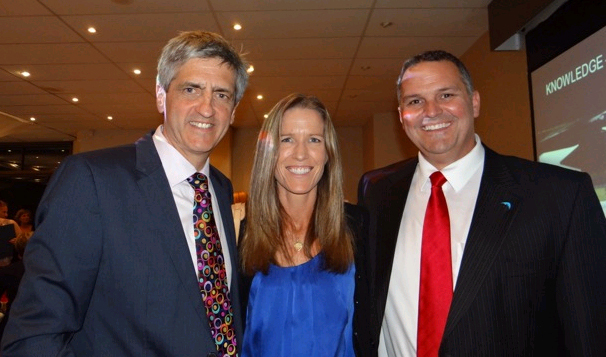 Financial Services Partners enjoyed the company of Richard & Coral for our annual Conference in Cairns in October 2018. They are both delightful people. They joined us for our Welcome Dinner & Drinks & Richard was our opening keynote speaker on Day 1. His description of the drama of QF32, the learnings from this & the correlation of these events to our industry (financial planning) & its current challenges & opportunities, were simply exceptional. Richard had delegates on the edge of their seats, delivered his message in a passionate & energetic manner, & transported his audience into the cockpit of that flight on that day. He took many questions, stayed on to talk with staff & delegates & was the most accommodating guest speaker I have ever dealt with. Highly recommended & just fabulous humans to deal with. Thank you Richard & Coral. 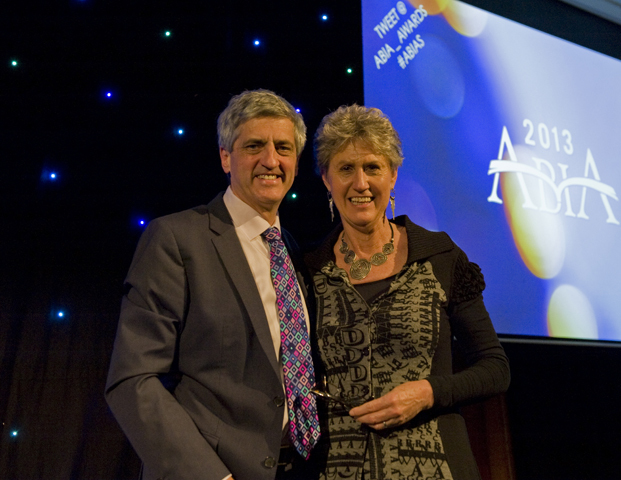 I had a remarkable evening yesterday with friend and colleague Richard de Crespigny. The story of how the crew saved that aircraft is on par with the story of Apollo 13. He told that story and shared those lessons last night in the ICAO Assembly Hall to an audience of nearly 400 leading international aviation officials. After doing a brilliant job explaining to everyone what could be learned from this disaster, he went on to explain what another dear friend Paolo Pettinaroli taught him about how saving the lives of 469 people, also changes forever the lives of the thousands of people who are linked to them. It was something that needed to be heard. 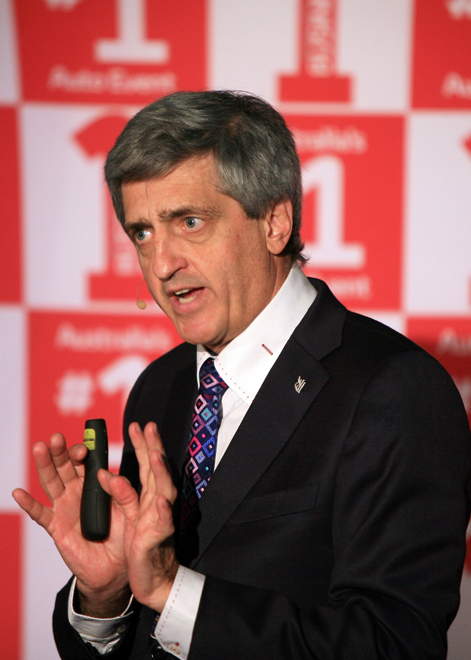 I have just gone thru the feedback for the Qantas/Captain Richard de Crespigny presentation – and it is all outstanding. Everyone has rated the presentation EXCELLENT and in some cases have ticked the excellent box 3 times! Thank you so much for the opportunity to have Richard speak at our conference – it was a pleasure to have him and his wife Coral attend our events and as you can see from the comments below our delegates thoroughly enjoyed his presentation. Here are some of the comments: • Spine tingling presentation • “edge of the seat” amazing • Passion that is contagious • Informative, interesting and inspirational • Outstanding, emotional and inspirational • An incredible speaker and person. • Absolutely sensational – best ever! • What an amazing story – the best! • Wow – lasting impression • Fantastic keynote speaker • Wow – what can I say?? Amazing! • So moving, entertaining and just WOW! SWIFT Association invited the Captain to be the keynote speaker Fall 2012 and are we ever glad we did! Richard was responsive to all our logistical requests in a timely and professional manner. This guy is fantastic! Rarely have we experienced a speaker who, not only arrives days prior to his ‘event’ let alone one who dove right into the conference such as Richard did, attending many of the sessions and taking time to sit and talk, often one-on-one with individuals. I would highly recommend Richard – his story and the way he delivers it, is captivating. He and Coral are a great team, humble, down-to-earth folk; their excitement and interest in others is clearly demonstrated by their willingness to spend time with people. In addition, I must mention the caring, thoughtful actions I personally observed, such as giving copies of his book away to aviation students because ‘those are the people you need to encourage and support ” (Coral). 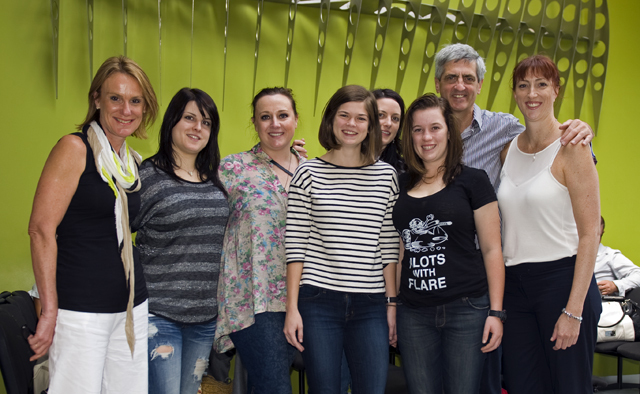 We thoroughly enjoyed getting to know them and I hope they enjoyed their visit to beautiful Banff. The conference was commenced by a life changing presentation from Captain Richard de Crespigny, Pilot of QF flight 32 from Singapore to Sydney. Captain Richard challenged us to be bullet proof and to take risks, be resilient and know the difference between threats and risk. His breathtaking presentation took us on a journey far more dangerous than anything we have ever encountered. The lives on 400 plus people were in his hands (literally) – 21 out of 22 systems were affected and he was committed to getting them all home safely. His decisions were driven by agility, experience, knowledge, training and teamwork. His courage under fire (the Black Swan moment) and exceptional leadership will be something that I will continually strive to match here on the ground. He focussed on what was at his fingertips, what he could utilise to get the outcome that he wanted. There is so much in his presentation that will stay with me forever. 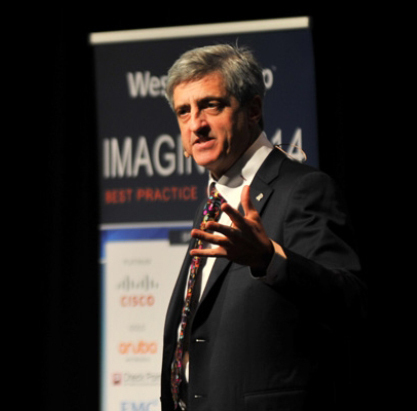 But, as IT Leaders of the Future – we must draw as many analogies as possible from his sage words. Assess what we have that works and know always where we need to go and what outcomes we are committed to. Richard’s presentation was simply awe inspiring and one of the best talks I have heard at any conference anywhere, and I have been to a few! As you saw by the standing ovation Richard received, I was not on my own in thinking this. The real strength of Qantas Airways is its people and Richard only cemented this view for me and our Corporate Members. To be able to hear firsthand the QF32 story from Richard not only sent some incredible messages about Qantas the brand to our important Corporate Members. It highlighted a great story of human triumph and added a real depth to our Symposium theme, Beyond Success. 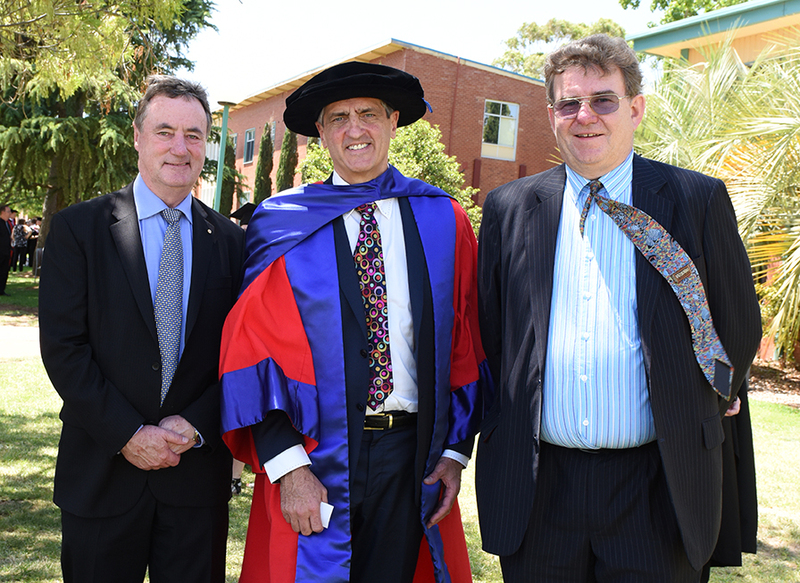 The NSW Minerals Council has been fortunate to have Richard de Crespigny speak at two of our major events on the NSW mining calendar. 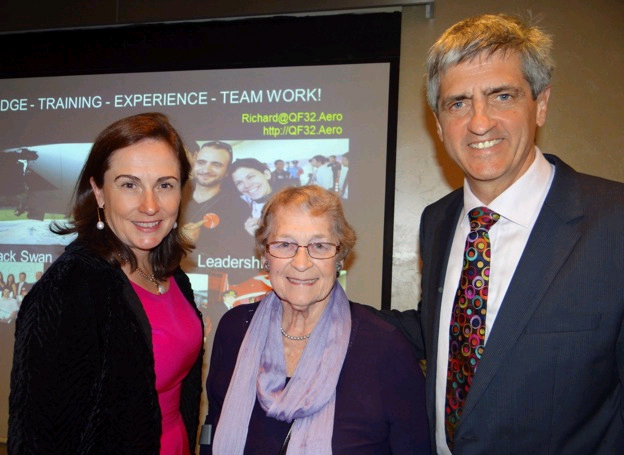 On each occasion Richard’s polished presentation of his life changing recount of flight QF32, from Singapore to Sydney in 2010, provided our delegates into the remarkable skills, teamwork, knowledge and years of training that was required to safely land the Qantas jet without any injuries. 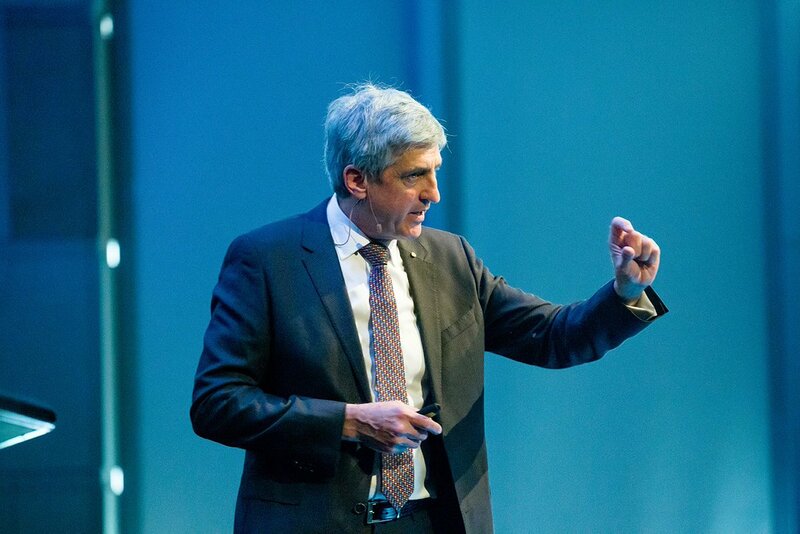 If you are looking for an a powerful presentation from an outstanding speaker to either open or close your event, I would highly recommend Richard de Crespigny.